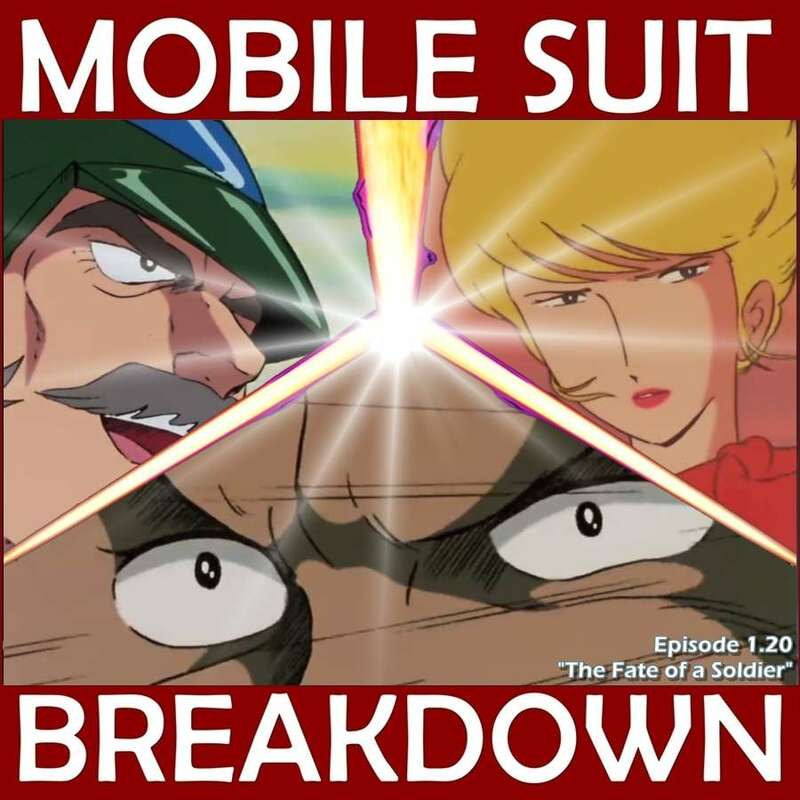 This week, we recap, review, and analyze Mobile Suit Gundam episode 20 and 21 (19 and 20 in the US), "Hand-to-Hand Combat" and "Sorrow and Hatred," discuss our first impressions, and provide commentary and research on: conflict management and resolution in Japanese culture, ship-boarding actions during WWII, and what a Buddhist wisdom-king has to do with Ryu. - Core cultural concepts that are helpful to understand before delving into conflict resolution specifically. This paper gives an overview of research done on conflict resolution in Japanese culture, as well as some general findings. - Our main source for information on the Altmark Incident (ship-boarding action in WWII), is by an anonymous author under username 'WatTyler', WW2 People's War. WW2 People's War is an online archive of wartime memories contributed by members of the public and gathered by the BBC. The archive can be found at bbc.co.uk/ww2peopleswar. - The Wikipedia page for the Altmark Incident takes a more neutral/pro-Norwegian stance. - What is a Myo-o? 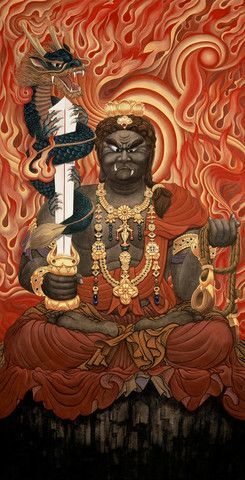 - Two detailed descriptions of Fudo Myo-o. 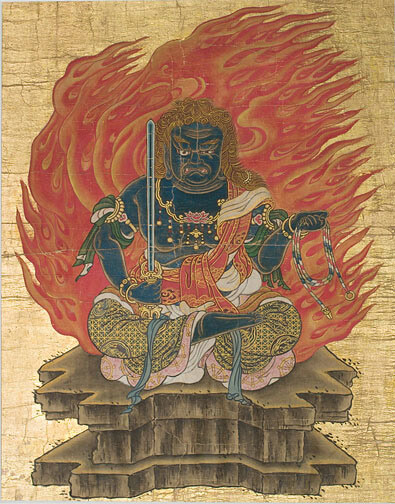 - Fudo Myo-o is frequently depicted in art, including in paintings like these, sculpture, and even in tattoos.